50% Silk, 50% Wool, crochet. 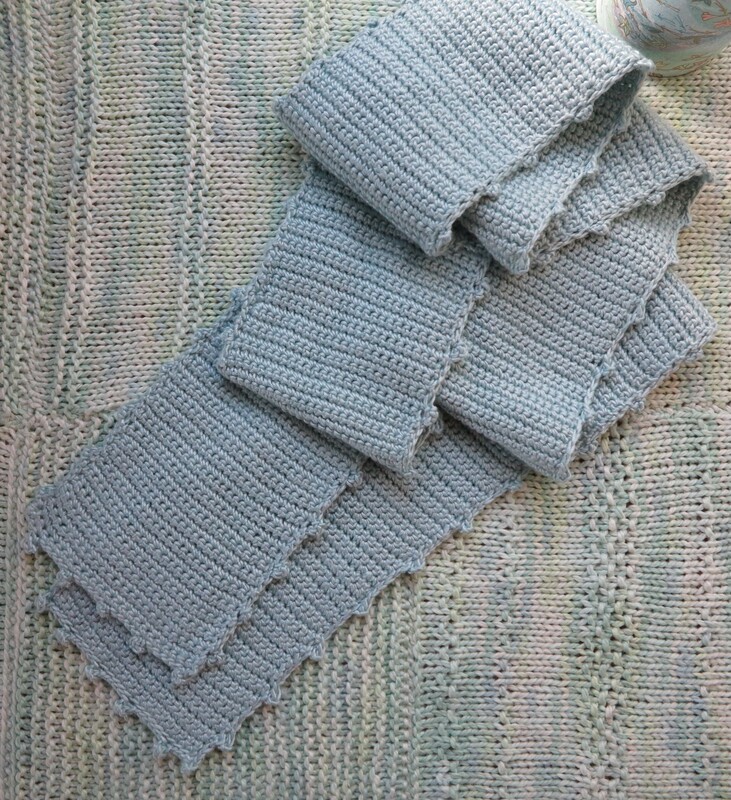 I think this silky scarf shows how the very simple single crochet stitch can be so beautiful – the yarn really is the star of this scarf. A little bobble stitch along the edge adds some interest so it’s not too dull, but it really is all about the luxurious silky smooth soft yarn. This entry was posted in crochet and tagged bobble stitch, crochet, scarf, silk, single crochet stitch, wool. Bookmark the permalink.